What is an Allergen Control Plan? Setting up and implementing an Allergen Control Plan in any food business is fundamental in preventing allergen cross-contamination. It is vital that food businesses understand their own processes and products and identify, manage and communicate allergen risks to their staff and customers who have allergies to certain foods. 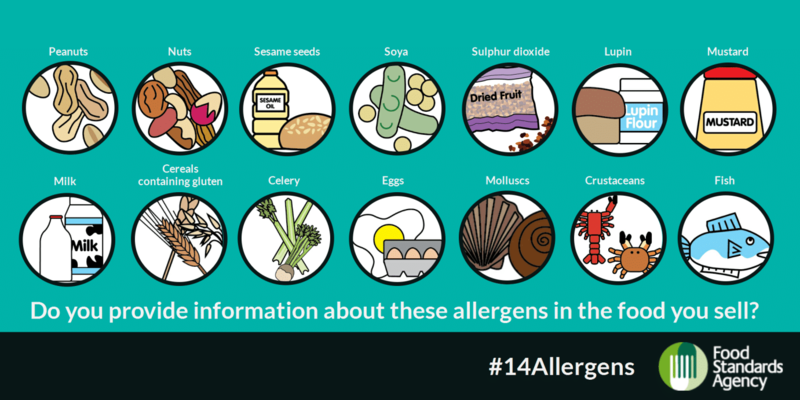 What should be included in an Allergen Control Plan? Production Process- potential for cross contamination. Extra protective clothing for staff. Cleaning – e.g. Deep clean between production of non-allergenic and allergenic products, validation of cleaning using swabs etc. Staff Training – in the subject and site controls. Knowledge is Key! !